Most of the antibiotics now in use have been discovered more or less by chance, and their mechanisms of action have only been elucidated after their discovery. To meet the medical need for next-generation antibiotics, a more rational approach to antibiotic development is clearly needed. Opening with a general introduction about antimicrobial drugs, their targets and the problem of antibiotic resistance, this reference systematically covers currently known antibiotic classes, their molecular mechanisms and the targets on which they act. Novel targets such as cell signaling networks, riboswitches and bacterial chaperones are covered here, alongside the latest information on the molecular mechanisms of current blockbuster antibiotics. 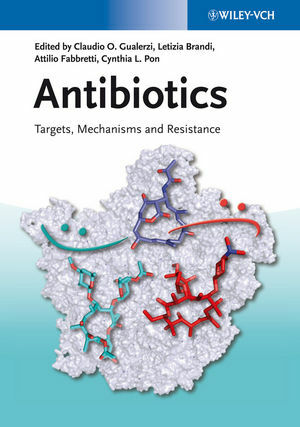 With its broad overview of current and future antibacterial drug development, this unique reference is essential reading for anyone involved in the development and therapeutic application of novel antibiotics. Attilio Fabbretti completed his doctoral studies at the University of Camerino (Italy) where he is now a research associate in the laboratory of Molecular Biology. He received the prize of the Italian Society for General Microbiology and Microbial Biotechnology for the best PhD thesis in 2007. Letizia Brandi received her doctoral degree from the University of Catania after performing her thesis work at the University of Camerino, Italy. She served a postdoctoral period at the University of Montana (Missoula, USA) and worked as a senior scientist at Biosearch Italia, spa and Vicuron Pharmaceuticals (Gerenzano, Italy), before joining the laboratory of Molecular Biology at the University of Camerino where she is now a research associate. Is Inhibition of Fatty Acid/Phospholipid Biosynthesis Also an Approach? Non-TCSs Targeting Biofilm Formation and Quorum Sensing in Pseudomonas spp. TARGETING HSP70 TO FIGHT CANCER AND BAG BUGS: ONE AND THE SAME BATTLE?